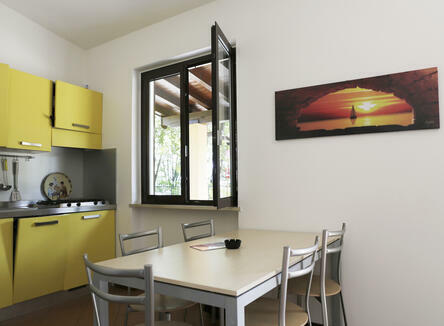 Special offer 7 nights for the price of 6 in a small villa for 5 people, with view on Lake Garda. Extras: tourist tax and final cleaning. Offer valid from 18 April 2019 to 1 June 2019 .